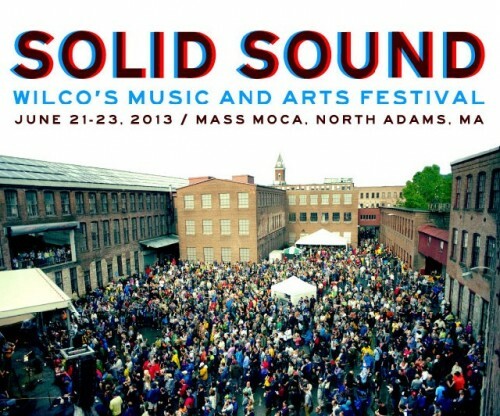 Wilco is returning with the Solid Sound Festival. On Memorial Day weekend− Saturday, May 25, and Sunday, May 26− MASS MoCA kicks off its 14thyear with a concert by American music legend Aaron Neville, at the same time opening four richly experiential and immersive exhibitions in the galleries. MASS MoCA's summer will include music from seasoned performers like Bettye LaVette and rising stars like Gabriel Kahane with Rob Moose, the annual Bang on a Can Festival of Contemporary Music, Wilco's Solid Sound Festival, and "circus punk marching band" Mucca Pazza. A dance party with A Tribe Called Red is the season send-off dance party, in addition to films on the largest movie screen in New England, comedy, club shows, and extensive events for kids. Paris-based artist Guillaume Leblon will present his first solo exhibition in the U.S, Under My Shoe, starting on May 26. His work is as powerful as it is discreet. Incorporating familiar objects into his sculptures, Leblon presents enigmatic constructions and combinations which have a seductive, material presence. Also premiering over MASS MoCA's Memorial Day weekend grand-slam opening is Joseph Montgomery, with his exhibition Five Sets Five Reps. His bold three-dimensional, textured paintings engage with the history and the future of painting. Jason Middlebrook's exhibition, My Landscape, also opening on Memorial Day weekend, reflects on his relationship to the Berkshires and the Hudson Valley, with large-scale drawings, paintings on towering hardwood planks, and a functioning fountain suspended from the ceiling of MASS MoCA's tallest gallery. Love to Love You, a group show exploring fandom opens in the museum's Prints and Drawings gallery. In a flag-planting preview of the FreshGrass Festival (at MASS MoCA on the last weekend of the summer, September 20-22), the wildly inventive bluegrass band Old Crow Medicine Show will make a special mid-week appearance at MASS MoCA on Tuesday, May 28th. June's performance highlight will certainly be the comeback of Solid Sound, Wilco's Music and Arts Festival on June 21-23. MASS MoCA's campus will once again be converted to a multi-staged, intimate, outdoor festival site for this celebrated event curated and headlined by Wilco, the best rock and roll band in America. The festival will include several art installations conceived especially for the festival, including Earthdrums by Wilco's Glenn Kotche; Totally Totem, a vast installation comprised of telephone poles, surveillance mirrors, and an abandoned water tank, by Marko Remec; and a curated selection of Wilco's musical instruments, together with a series of author talks and demonstrations orchestrated by North Adams's own Storey Publications. Improv sewing, backyard foraging, hot sauce microbrewing, and beekeeping are just a few of the topics. New to the festival this year will be two special culinary events featuring local farm produce, locally distilled spirits, and regional cooking talent. The first event, "Laughing in Detail: I", will be a pre-concert, small-plate sampling on Saturday evening, while "Laughing in Detail: II" will be a post-concert, late-night supper served under Xu Bing's Phoenixes and attended by members of Wilco. Proceeds from both fundraising events will benefit MASS MoCA's education programming. Continuing with MASS MoCA's musical summer, in July the soulful singer-songwriter, Bettye LaVette, will take the stage on Saturday, July 6. The following week the 60+ faculty and fellows who comprise the Bang on a Can Festival of Contemporary Music arrive and begin presenting their twice-daily gallery recitals on July 15. As part of the festival, the Bang on a Can All-Stars will perform featured evening concerts, and the passionate 12-hour Marathon concert returns, complete with outdoor grills and exciting new music from around the world. August is the month for film and a chance to dance under the stars. Catch film with live music scores, film at the airport, and film with filmmakers all on the largest film screen in New England. On August 10, director and composer Benh Zeitlin visits MASS MoCA with Dan Romer and the Wordless Music Orchestra to perform their original score to his film, Beasts of the Southern Wild. On August 16-18, MASS MoCA visitors will take a journey into the absurd with the thirty-member, circus-style musical troupe, Mucca Pazza. On Saturday, August 24, MASS MoCA takes up temporary residence at the North Adams Airport, where it presents the comedy classic Airplane!, along with a static display of antique cars and aircraft. The first 100 children will receive balsa airplanes. On August 31, say goodbye to summer by dancing the night away. Prepare to move and be moved by the dub-step beats, hip-hop mixes, and reggae rhythms of Canadian-based, Native American group, A Tribe Called Red. The popular Alt Cabaret series continues with a performance by the Williamsburg Salsa Orchestra on June 1, whose eleven-piece band trades the standard repertoire for dynamic salsa-fied arrangements of the Yeah Yeah Yeahs, LCD Soundsystem, The Black Keys, and other indie favorites. Also on the schedule, progressive-indie artist Gabriel Kahane is joined by Rob Moose of Bon Iver for a set of airy pop that hints at Kahane's classical roots. 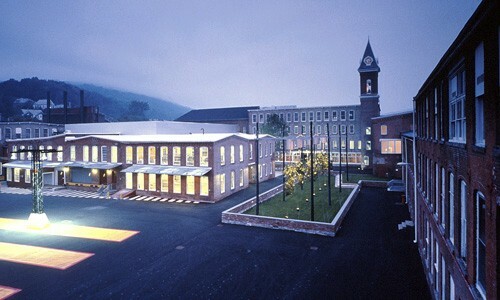 Beginning on June 15, MASS MoCA's education department will commence its three-museum exhibition project, Words & Images. Kidspace @ MASS MoCA will kick off the multi-institutional collaboration by focusing on the word "freedom" with a six-artist exhibition exploring its many meanings. The opening reception will begin at 2pm and will feature snacks, art-making, activities, and an opportunity to meet the artists. The day will finish up with a show of shockingly accurate Beatles covers, performed in MASS MoCA's Club B-10 by the soulful pop-rock outfit, Bubble. Other kid-friendly events include a music-making morning with Bang on a Can, presenting crowd-favorite, Kids Can Too!. Tickets for all events are available through the MASS MoCA Box Office located off Marshall Street in North Adams, open from 11am-5pm, closed Tuesdays. Tickets can also be charged by phone by calling 413.662.2111 during Box Office hours or purchased on line at www.massmoca.org.